“Bali” in Jakarta? Yes, Only at Lippo Mall Kemang (Kemang Village) ! Have you ever been to Bali, a.k.a. The Island of God, in Indonesia? Well, if you have not and you’re a Jakarta Citizen, then you should be happy! 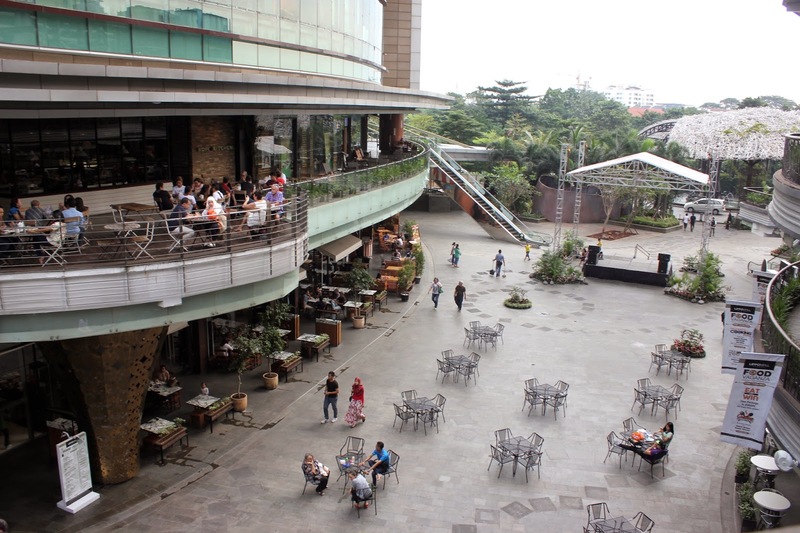 Because you can go to Lippo Mall Kemang, that is more famous to be called “Kemang Village” and enjoy Bali atmosphere with a secluded area here. You won’t hear any vehicle voices, and all of those loud “Tin! Tin! Tin!” on the road. Honestly, this is my first time ever going to Lippo Mall Kemang / Kemang Village. At first, I thought this mall is super small, and only a mall for those who live nearby, in the apartment. Surprise surprise, when I arrive, this mall is pretty huge, especially the outdoor or open restaurant area, which looks like Bali. Whoa, suddenly I’m super happy to be here! 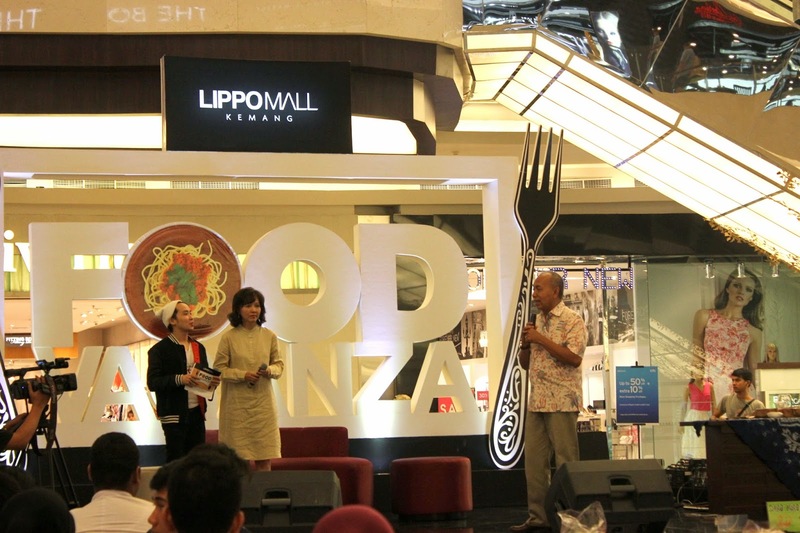 I’m happier because there’s a Food Vaganza event that held in Lippo Mall Kemang. On that day, which is 12 April 2015, there’s Pak Bondan Winarno, with his famous word back then “Maknyus!” (anybody remember about this?) talking about “Tempe”, one of the traditional food in Indonesia. Believe me, it’s enlightening my knowledge about Indonesian food even more, and I can’t believe that I just hear it directly from the expert. I’m so happy to see you, Pak Bondan! So happy to watch him in person! Food Vaganza itself is held from 9 March to 26 April, so you better hurry up and go there before the event ends! 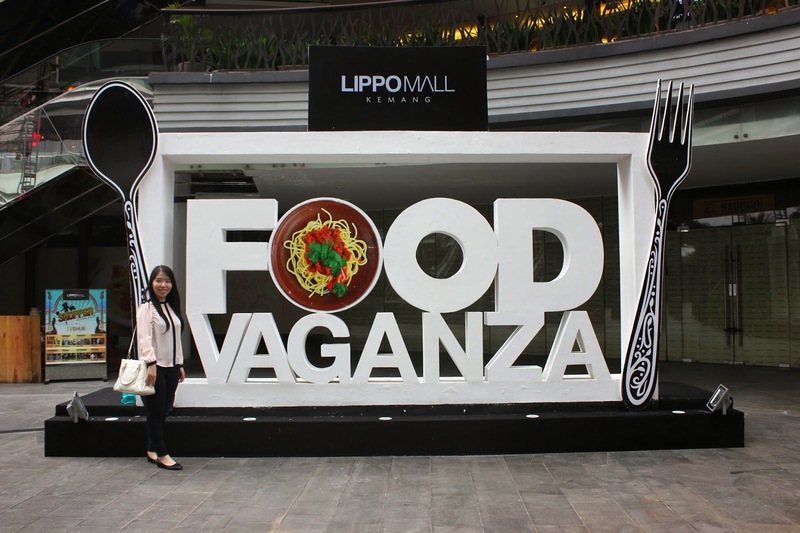 My friend, posing at the Food Vaganza Huge Banner! As I’m craving for duck *again* then our choice goes to The Duck King, located inside Lippo Mall Kemang, on the 1st Floor, Ducking has an open outdoor restaurant area that is pretty huge. Well, let’s go to the food review! No need to argue anymore, the roasted duck here taste super great! 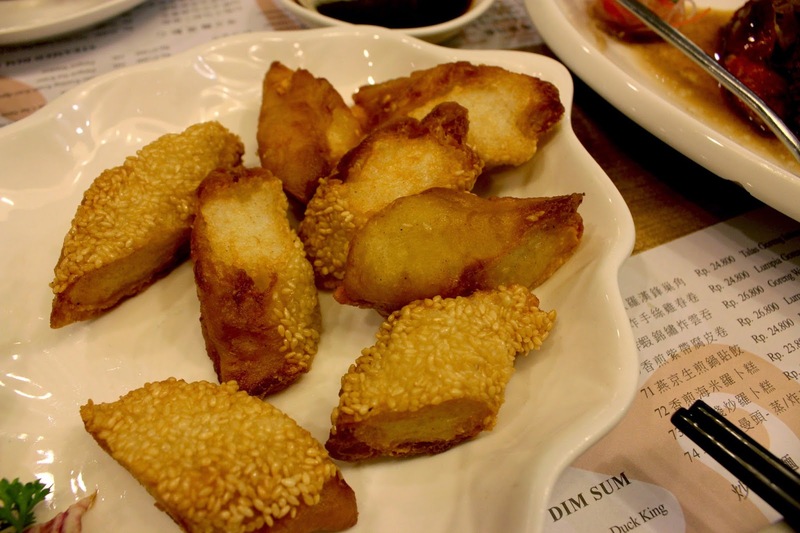 You could chew the duck meat easily, and in the end you can put the crispy skin inside your mouth, and feel that the duck fat is spreading all over your mouth. Uh yeah, Yummy! Don’t judge a book by its cover maybe applies to this food. Don’t judge a food by the appearance. It may looks ordinary, but the taste will make you addicted! Served with a separate Mayonnaise bowl, you could dip the cakwe inside the mayo before finally eating it. 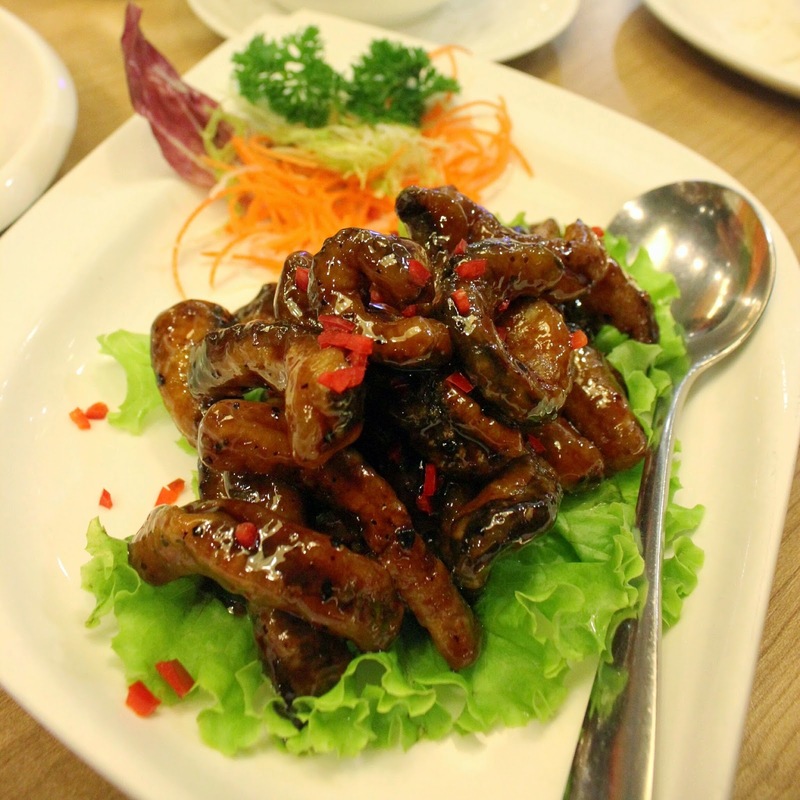 Don’t worry, the size of the squid is huge, so you will be able to taste the richness of the squid! I never eat any other Belut except here in The Duck King. Because based on my experiences, in another restaurants, the eel is not crispy and the portion is always dissapointing. 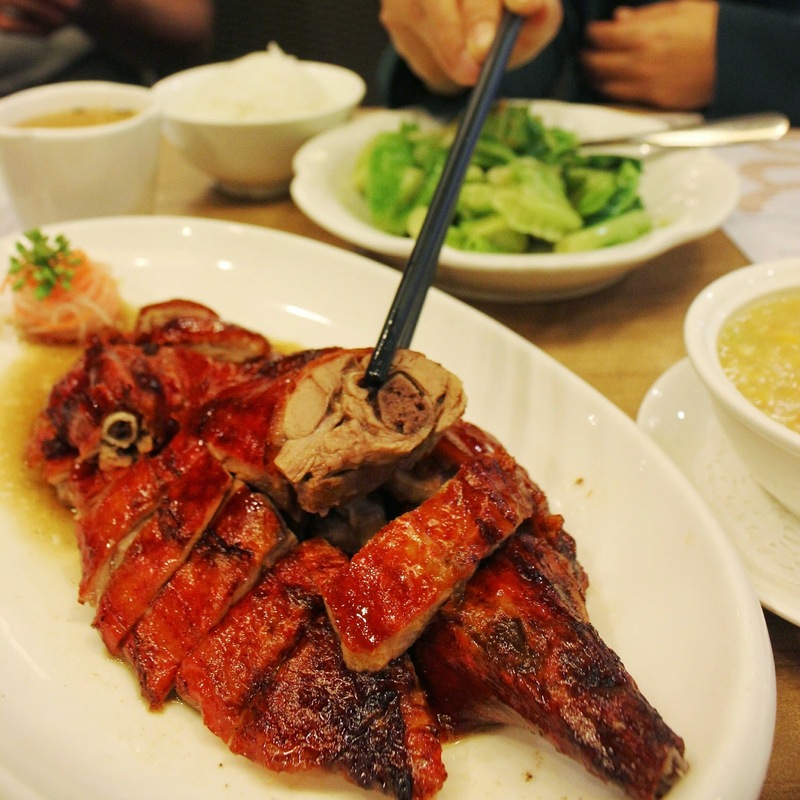 Whereas here, in The Duck King, the portion is great, plus the eel is super crispy without any small bones or whatsoever. There’s also a black sauce as the gravy (I don’t know the sauce name) and trust me it taste super good with the eel! 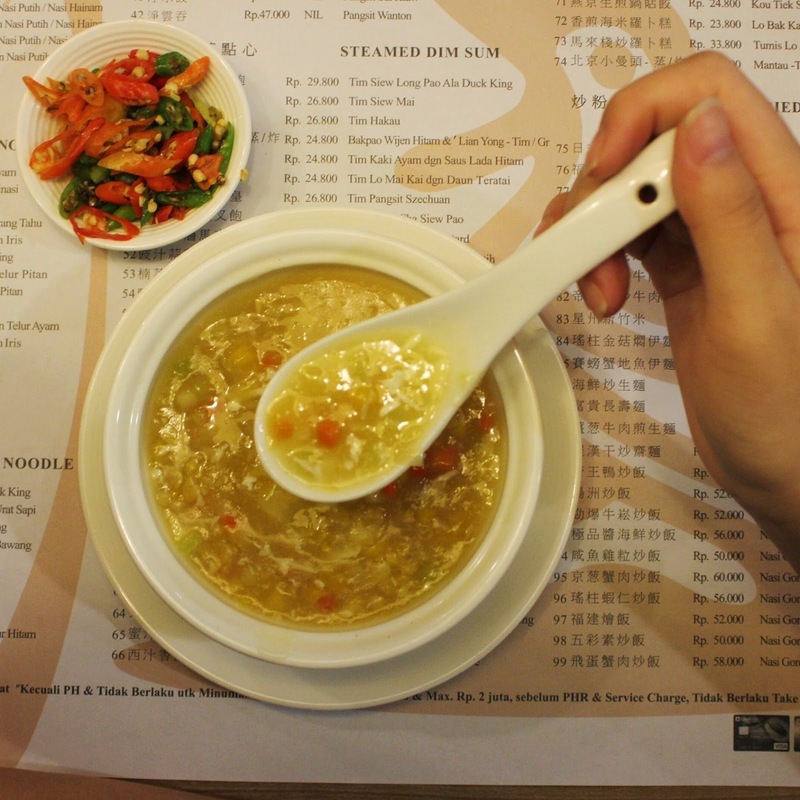 Best served while hot, Duck King really knows how to make a soup. The texture is really smooth, and the corn is easy to chew. A perfect dish if you want to warm yourself, or having a flu, or even for your grandparents. I’m not a vegetarian, but I always love to eat vegetables at the middle – high restaurant. Why? Because the vegetables are perfectly cook and super crunchy! It didn’t taste bitter at all (I always wonder why… is it because of the cooking utensils?) That’s why I always eat vegetables while eating inside middle – high restaurant. 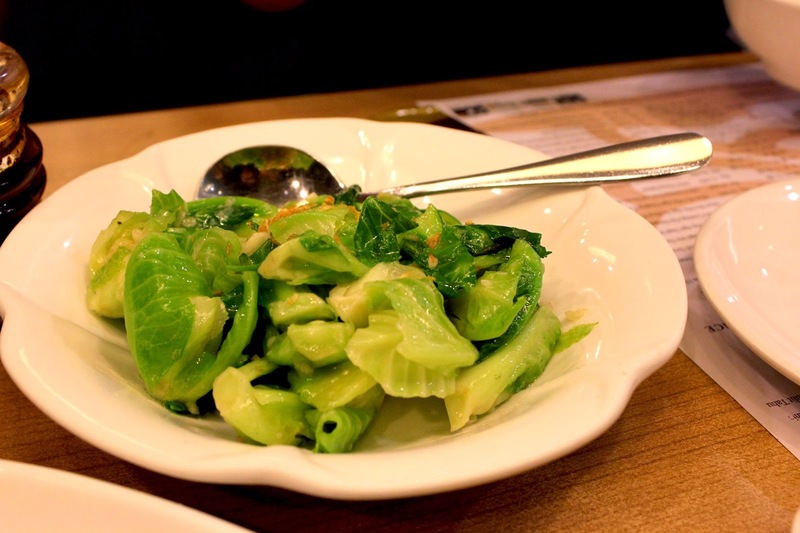 For those who also not a vegetarian and a carnivorian just like me, try to eat vegetables on middle – high restaurant. You can fall in love with the taste, just like me! I think this is a perfect choice in the Lippo Mall Kemang if you go here with your family and relatives. 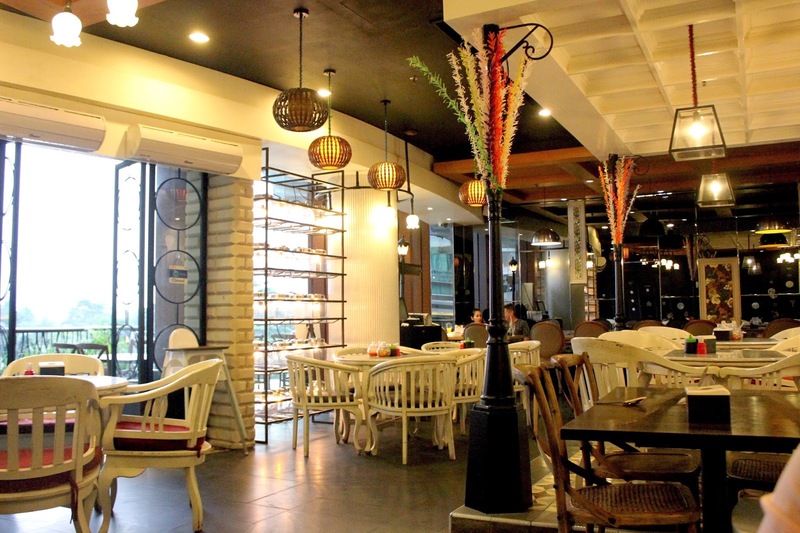 It offers more private space inside the restaurant, or you can just chill out outside with your family and having a family gossiping time, without bothering the winds / your surroundings. Even though you sit outside the restaurant, the location of The Duck King is located on the corner of the mall, so people won’t pass by around you. For those who hang out with friends, I think the perfect choices would be the outdoor or open space restaurant. There are a lot of choices here, and because I am a “boarding house people” (read: anak kos-kosan) then my choice goes to Kafe Betawi, in the 1st floor of Kemang Village, outdoor / open space area. Offering more affordable prices rather than the other restaurants, I could enjoy a great view outside or inside the restaurant, together with my friend. I choose inside because I love their wall wallpaper, it’s so vintage and antique! Besides, my friend is kinda feeling not really well, and the wind is a bit strong that day. My friend order a Soto Mie, because she got a flu and she think it’s better to order a Soto. Yeah, I totally agree with her. A warm bowl of Soto Mie, with fresh tomato and beef slices would be really great! The taste of Soto Mie is perfect, and the beef is also a lot, too! What a perfect combination! Mie Tek Tek in Jakarta is a bit different than in Surabaya. 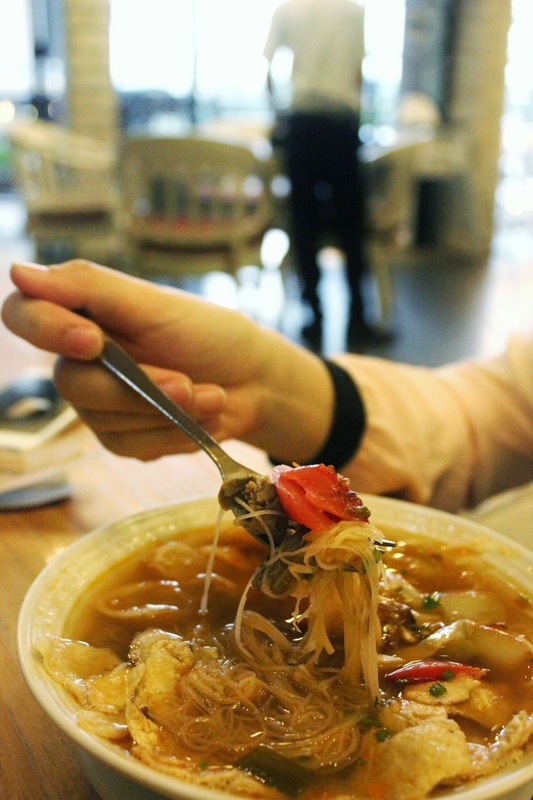 In Jakarta, the soup for Mie Tek Tek is creamier. I could say it’s more to a gravy rather than a soup. However, I really love the taste, it makes me feel home, and I never go home for this past 3 months T.T. I can taste the tender chicken underneath the noodle. The portion is just balance between the meat and the noodle. Thumbs up! I also ask for additional “cabe rawit potong” and the waiter respond super nicely! Thanks! I really have a nice experience in Lippo Mall Kemang, I can’t wait to get back and chill out in the open space restaurant again! 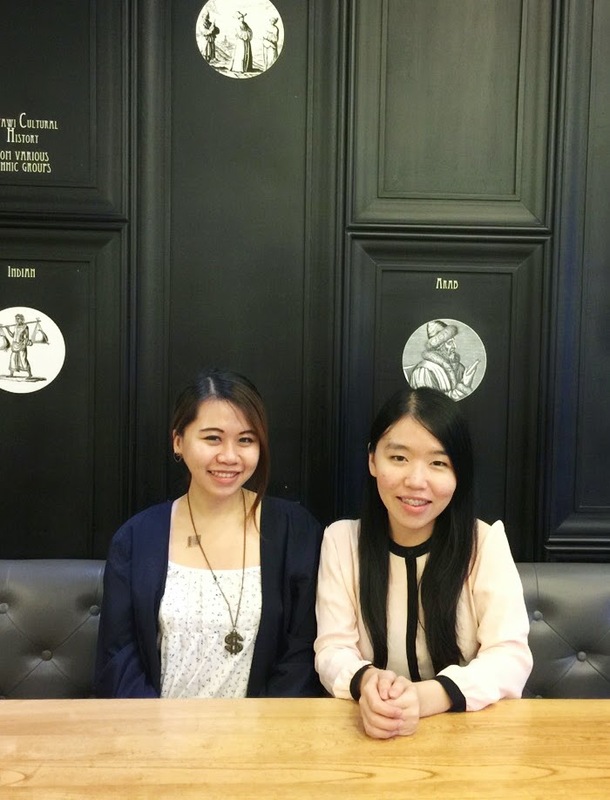 Here’s a picture of me and my friend, with the background of Kafe Betawi’s antique wallpaper that I mention before! Anyway, have I look like so Bali here? With all my messy bun hair plus my wide smile? Hahahaha! HEY, There’s a Dining Voucher! 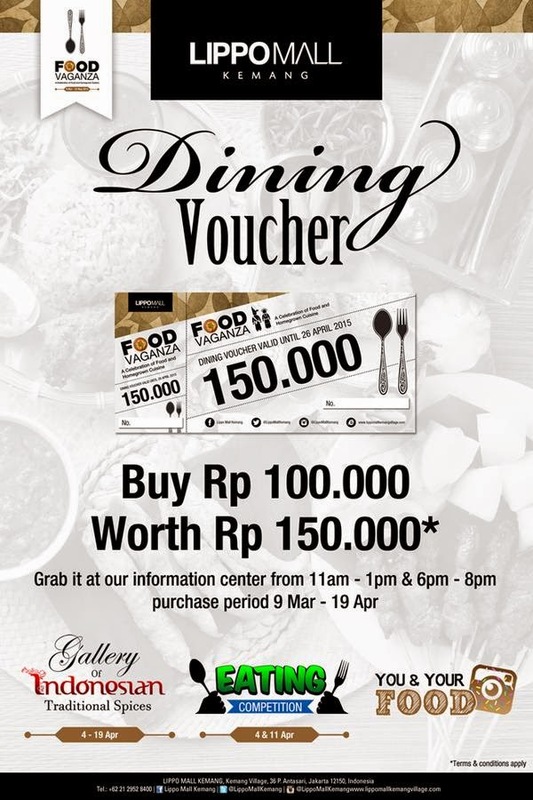 OH YES, you could purchase your Dining Voucher throughout the Food Vaganza Event on 9 March – 19 April, ONLY for IDR 100,000 and it is worth IDR 150,000 !! Whooaaaa how cool is that? P.S : You know what? 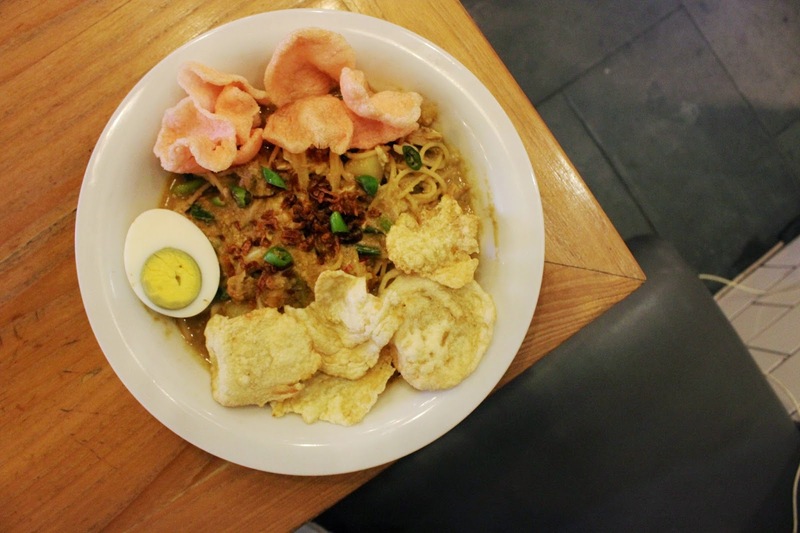 Lippo Mall Kemang x Indonesian Food Blogger is holding a Review Challenge! Hurry up, register yourself, and win the prizes! Omah Sendok : Menu Buffet Buka Puasa, Pas Buat Ngumpul! Kejutan Snack Favorit Gratis dari Lifull, Kamu Bisa Dapat Juga Lho! Kapan2 kita direview dong ka..Keren2 tulisannya..Congrats ya..